Coffee Table with Slatted Top free plan. This beautiful coffee table can be built entirely out of 2x4s keeping the cost down. The boards for the top are assembled on their sides and secured underneath with two braces. Free step-by-step plans available at the link. Storage Coffee Table free building plan. Folding Coffee Table free building plan. At the link you will find the free downloadable plans to build a folding coffee table. Coffee Table with Shelf free plan. Build a X leg coffee table with lower shelf using the free downloadable woodworking plans at the link. 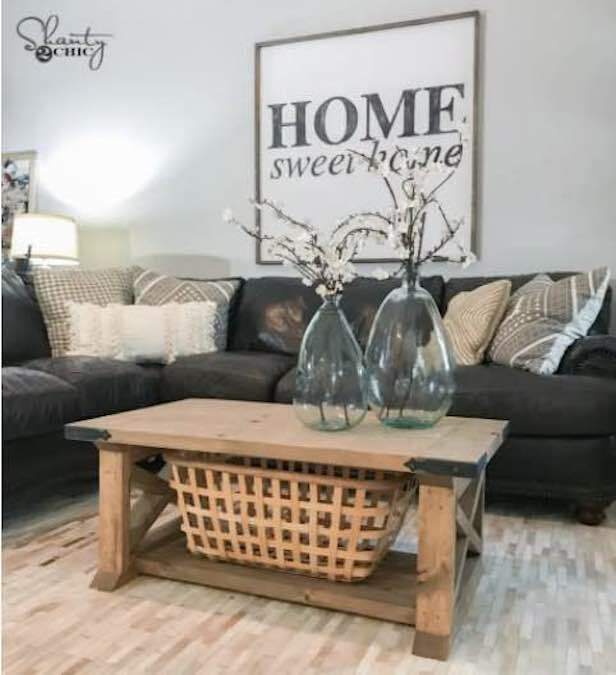 Build this farmhouse style coffee table using just 8 boards and these free downloadable plans. Coffee Table free building project. Download the free woodworking plans to build this beautiful coffee table using 1 x 4 boards. This one only requires a few basic woodworking tools. 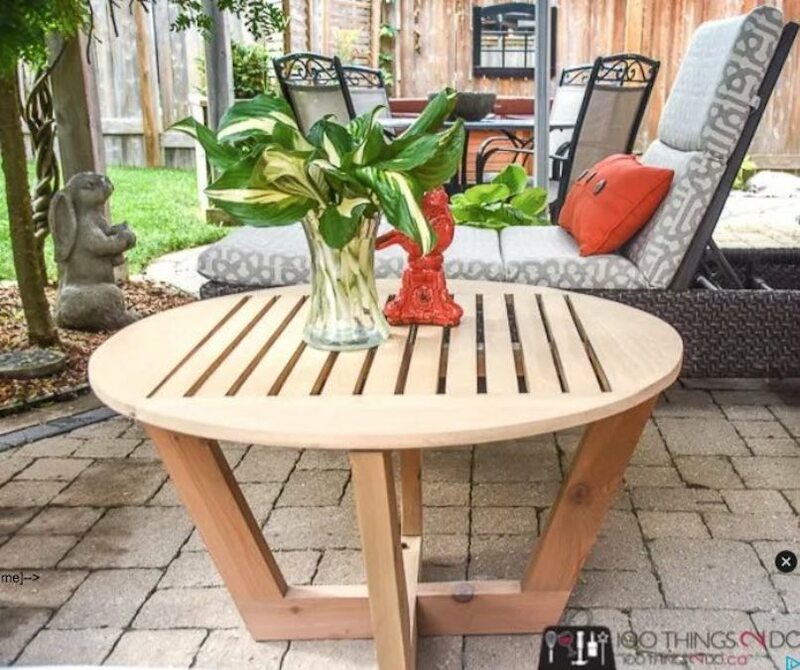 Build this modern slat coffee table using the free step-by-step instructions at the link.